Thanksgiving is a holiday centered around family, gratitude and football. There is nothing better than expressing all that you are grateful for, spending time with loved ones, and feasting on your Thanksgiving favorites. Our team has a lot to be thankful for this year! We have met goals, exceeded expectations, and we have also grown our team! We are especially thankful for all of the clients who have put their trust in us this year to help them sell their homes. 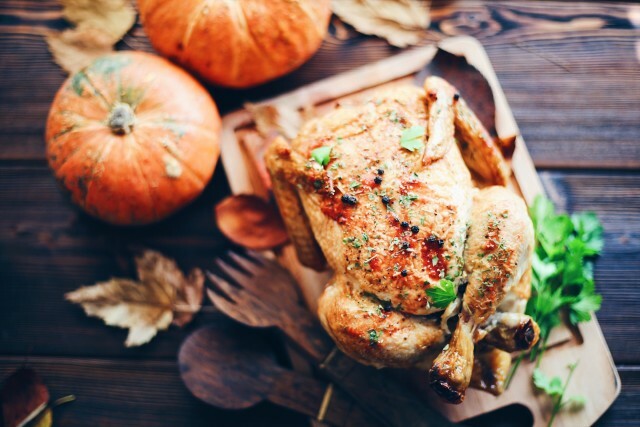 Family traditions also make Thanksgiving so meaningful, whether it’s something you do, a football game you watch, or a special recipe you make. Our team wanted to share some of our most memorable Thanksgiving traditions with you! Each year I make my grandma's Italian stuffing recipe. It always comes out a little different because in true grandma fashion there were never any measurements... I just went to her house one day when she was alive and followed her around the kitchen feverishly taking notes! It's one of my favorite dishes to make because it reminds me so much of the love she used to pour into all of her meals. We always go to the Burlington football game vs Lexington on Thanksgiving morning. We’ve also run turkey trots some years in Bedford because Burlington doesn’t have one on Thanksgiving day. I always make a pecan pie to bring to our family dinner. The Collins family is big on Thanksgiving, and over the years we've incorporated many extended family members into the party. Our dinner is very traditional, however dessert time is a little crazy - one year we had about 11 different kinds of pie on the table. A week before Thanksgiving now, for the second year, we host Friendsgiving - reuniting friends who have moved away from MA for a foodie brunch. People get very creative with their contributions, and I do my part in supplying amazing coffee all day long (yes, it lasts all day and kids and dogs are also welcome). Growing up in Brazil, I didn't celebrate this holiday as it's not part of our culture. Thanksgiving is now one of my very favorite holidays - just a special day where everyone is thinking in gratitude and gathering with friends and family. Our traditions always include a morning hike somewhere with friends and dogs. This year we’ll need to bundle up! We usually go to Great Brook in Carlisle or the Res in Bedford. I like to have my kids decorate and pass around a "Thankful Jar" on Thanksgiving. We have everyone write down things they are Thankful for. We don't sign them, instead we guess who wrote what Thankful note as we read them out loud. It is a fun activity that all age groups, even the toddlers we are hosting can get involved in. Chris and I like to begin every Thanksgiving by being grateful that we can get up and move. He usually rides his bike from Maynard to his parents’ house in Northborough. I like to either run a 5k or take a hot yoga class. Since the first year that Chris and I met, our families have spent Thanksgiving together. We all gather at Chris’ parents house, eat, drink, and be merry. My grandmother used to live in Mississippi, where they had pecan trees in their yard. Fresh pecans made this my favorite part of Thanksgiving! Here is the pecan pie recipe.. very easy. I remember writing the recipe down in my grandmothers kitchen, and then making it, when I was 10 years old. Mix sugar, corn syrup, molasses & butter. Then add eggs & pecans. Pour into pie shell. Bake at 400 for 10 minutes, then bake at 350 for 35 minutes. Check the pie half way through, as you may need to cover the pie (or just the crust/edges) with foil to prevent the crust from getting too dark.